If you have forgotten your password you can access your account by requesting that a password reset link is emailed to you. This will be sent to the email address which is registered to your Mixlr account. TIP: if you don’t have an email address associated with your account, it's possible that you signed up with Facebook. Try logging in with Facebook via our sign in page. 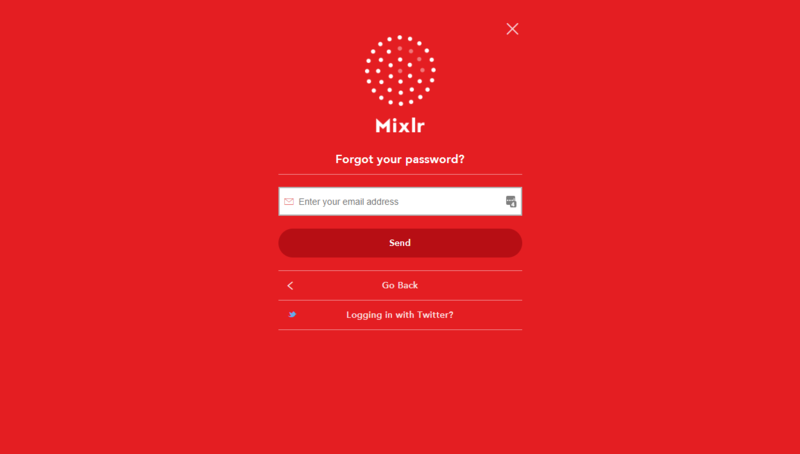 Click here and enter the email address which is registered to your Mixlr account. You'll receive an email. Click the link in the email to reset your password. TIP: if you don't receive an email to your main inbox try checking your other folders. 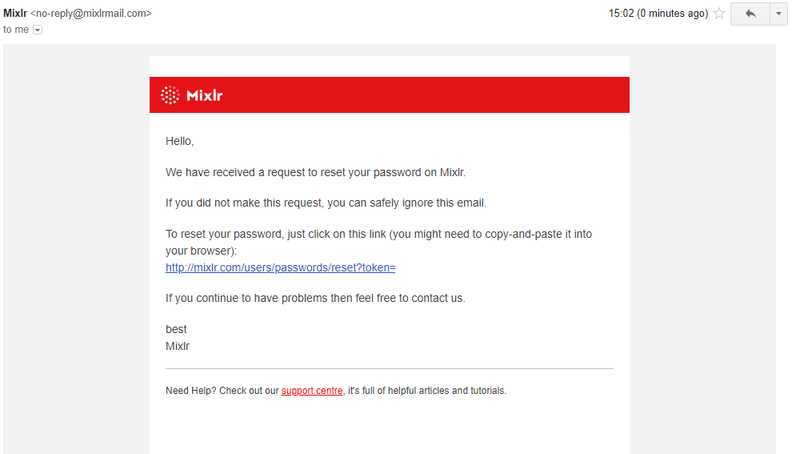 If you still haven't received it, make sure you don't have emails from 'mixlr.com' or 'mixlrmail.com' on any spam or junkmail lists. Enter your new password in the Choose a password field. Enter it again in the Confirm password field, and then click 'Save new password'. 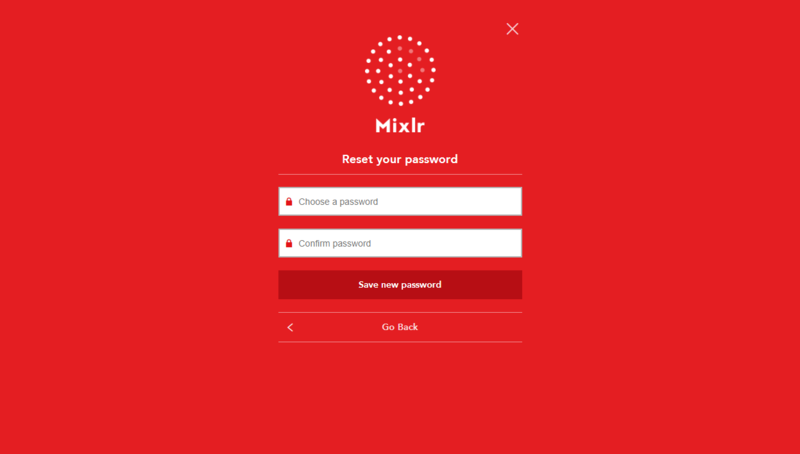 You'll now be able to log in to Mixlr with your new password. Click here if you want to change your password instead of resetting it.